The foundation of the city goes back to the Romans . In the ninth century, it became one of the Maritime republics , competing with Pisa, Venice and Genoa for control of the Mediterranean. His sailors, the first in the West to use the compass, made the fortune of the city. 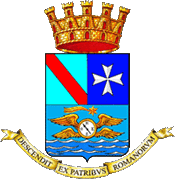 They developed the Amalfi Maritime Code. Originally, there were two basilicas, one dating from around the year 1000 and the other half of the ninth century. In the thirteenth century, the building were united in one which has since five naves.